Design a Valentine's Day card for your beloved one. Visualize your own creative ideas and do it yourself to gain distinctive Valentine's Day cards. Can't find a desired Valentine's Day card? Want to show your affection and appreciation to your beloved one in a creative way? Just do it yourself in Edraw. It helps you visualize your love in an amazingly easy way. Just present what you want to say with vector text. Show your feelings with photos or any images. Apply ready-to-use shapes to design your cards. 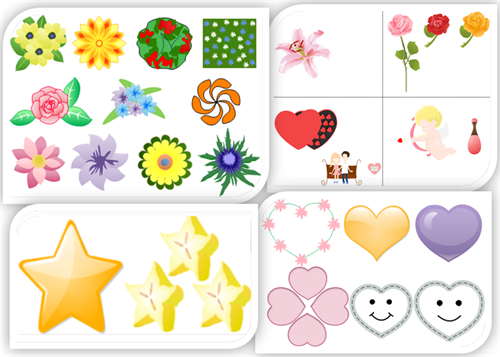 This allows everyone to gain beautiful Valentine's Day cards easily without any drawing skills. From over 10,000 shapes and advanced drawing tools, you are free to explore your imagination and creativity. Start Edraw. -> Choose Card under FILE menu. -> Double click Valentine's Day. In our software, we have included a set of specialized symbols for Valentine's Day. allowing you to drag and drop to use. Drag and drop them directly onto the canvas. If you need more shapes, enter the name into the search box and search it. For example, we can search all the available heart shapes and display them to the left of the canvas. 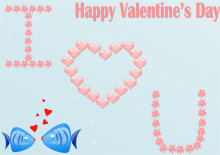 Express Happy Valentine's Day with nice vector text that can be filled with various patterns. You can also add more wishes in the card. 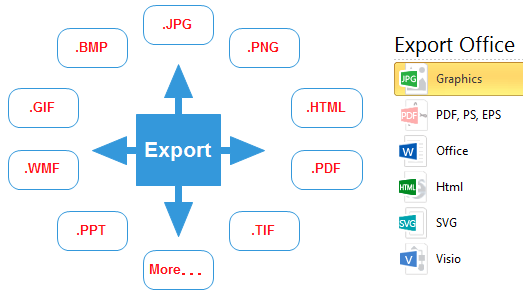 Note: Export the card into easily sharable formats like JPG and Word. Edraw gives you multiple choices to export the card. Send the E-card to your beloved one or print it as you like. Here are some creative and beautiful examples of Valentine's Day cards. Click on the relevant picture or link to view large version or download it. 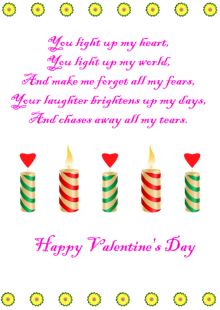 Download Edraw and experience the easiest and fastest way to design Valentine's Day Cards.